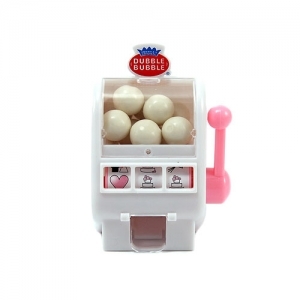 Hit the jackpot with these slot machine gumball dispensers, perfect for guests of all ages or as a special gift for your youngest guests. Just spin the wheel and be rewarded with an authentic Double Bubble every time. Gumballs are approximately 1/4", machines come with 8 gumballs that are in a plastic bag inside the dispenser.